Luke Perry, who was hospitalized since February 27 in Los Angeles after suffering a stroke, died Monday at the age of 52. The actor was mostly known for his role as Dylan McKay in the television series Beverly Hills, 90210, which was a cultural phenomenon in the 1990s. At the time of his death, Perry was working in Los Angeles on the set of the series Riverdale. 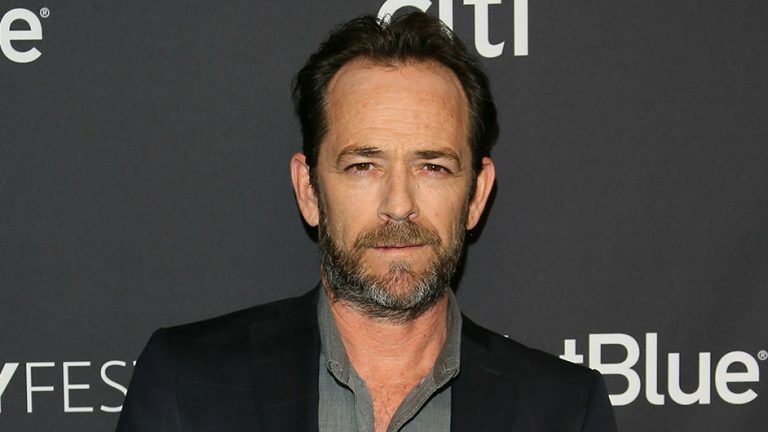 According to the release sent by his agent, Luke Perry died of a “serious stroke”. He was surrounded by his children Jack and Sophie, his fiancée Wendy Madison Bauer, his ex-wife Minnie Sharp, as well as his mother, brother, and sister. Perry was rushed to the hospital last Wednesday morning after suffering the stroke while at his home in Sherman Oaks, California. According to the emergency dispatch audio obtained by TMZ, paramedics received a call for a stroke at the residence. When EMTs arrived, he was responsive and talking, but his condition deteriorated shortly after. His reps said doctors had sedated Luke, hoping to give his brain a fighting chance to recover from the trauma of the stroke. However, apparently, the damage was too extensive. Luke Perry was hospitalized the same day Fox Studios had announced the reboot of the series Beverly Hills, 90210 for six episodes this summer. While Luke had not signed on to be a regular on the series, he was scheduled to make a few guest appearances. He also filmed a role in Quentin Tarantino’s upcoming Charles Manson movie Once Upon a Time in Hollywood.